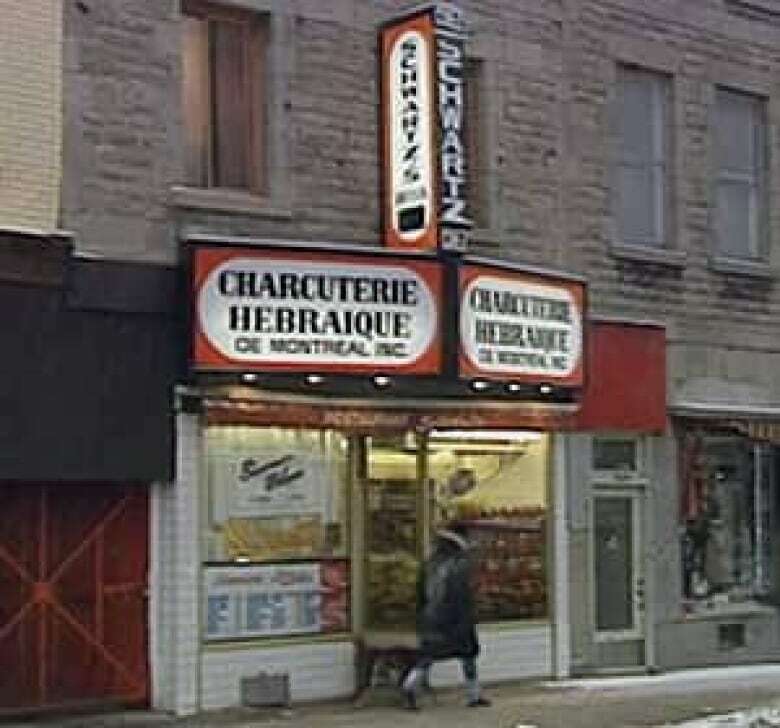 Rumours that one of Montreal's most recognizable landmarks may be changing hands heated up after several reports emerged that the sale of Schwartz's Deli was imminent or already on the plate. Rumours that one of Montreal’s most recognizable landmarks may be changing hands heated up Monday after several reports emerged that the sale of Schwartz’s Deli was imminent or already on the plate. 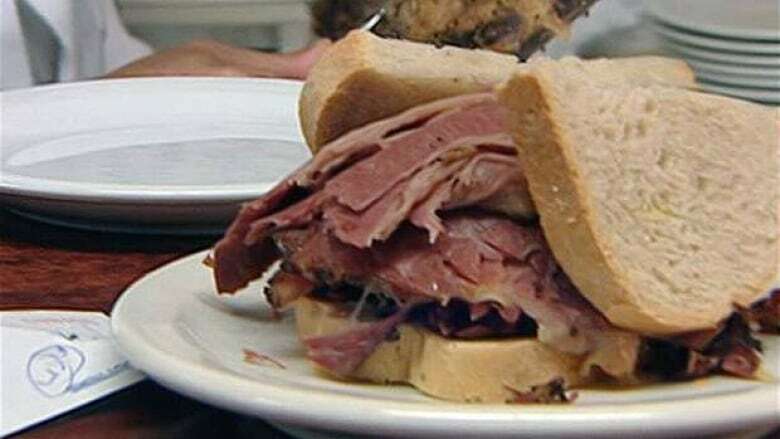 Bill Brownstein, Montreal Gazette columnist and author of a book on the smoked meat institution, told CBC News that several of his sources confirmed the sale, though the implications of the deli changing owners still isn’t clear. "Maybe the ink is not yet dry, but I believe if it isn’t imminent, it has been done," he said, adding that all the major players in the deal are bound by confidentiality agreements. Schwartz’s owner Hy Diamond, who took over the business in the late 1990s, has been suffering ill health for the last year and wanted to ensure the deli remained in local hands, Brownstein said. "They’ll continue and I know Hy Diamond’s very loyal to his staff," he said. "I’m sure there’s lots of clauses in there that the people that are there stay there and that nothing radical happen." Founded in 1928 by Romanian immigrant Reuben Schwartz, the deli has been serving up its original recipe smoked meat sandwich to a constant stream of locals and tourists alike for decades from its Saint-Laurent Boulevard shop. Its storied past became the basis for Brownstein's book and a stage production, Schwartz's The Musical, which premiered in Montreal last year. The business has changed hands over the years, but the deli itself has altered little since its inception, save for the addition of a take-out counter next door to the restaurant several years ago. Frank Silva, general manager of Schwartz’s, said he couldn’t comment on any potential deals. "Everybody’s calling, everyone is asking," he told CBC’s Daybreak Monday morning. "Like I said, right now I’m not able to comment on any of those things. For Schwartz’s here, for the staff, it’s business as usual. Nothing changes here. It’s like we always say, ‘The whole world is changing except Schwartz’s.’ It’s business as usual and nothing’s going to change here." Just whose name may be on the new deed isn’t clear. Rumours have surfaced pointing to Céline Dion and husband René Angélil as potential investors. The couple were involved in the Nickels chain of restaurants. Brownstein said it’s unlikely they are the main force behind the Schwartz's deal and, if they are involved, they’re likely minor players. The new Schwartz’s kingpin is more likely Westmount-based businessman Paul Nakis, owner of the Baton Rouge restaurant chain and Sir Winston Churchill’s pub, he said. So, what could that mean for a business that has prided itself on next to nothing new for almost a century? Many fear it could mean franchises, an idea that caused a local uproar when a second location in Montreal was considered eight years ago. "Schwartz’s whole cachet is based on the fact that it’s this little crumpled venue, dilapidated, some might say run-down, but it has so much charm on the Main," said Brownstein. "To open up a spanking new establishment in Montreal or elsewhere around the country, it just would lose a lot of what’s given Montreal some of its charm." However, given that the reported players in the deal are already in the business of restaurant franchises, it’s not out of the question, he added. But getting that same smoked meat that has earned Schwartz’s Deli a place on the Montreal must-do map won’t be as easy as just opening up another storefront. The recipe doesn’t use chemicals or preservatives and the meat is smoked in an 84-year-old smokehouse that sears in decades of spices, oils, and tradition. "If you were to start a new deli, you’d have to start with a stainless steel smoke house and all the rest and you’d be on the same footing as everyone else," Brownstein said. "One of the reasons that they had to just put away the idea of franchising way back when was because they couldn’t come out with that same sort of meat that people expected."